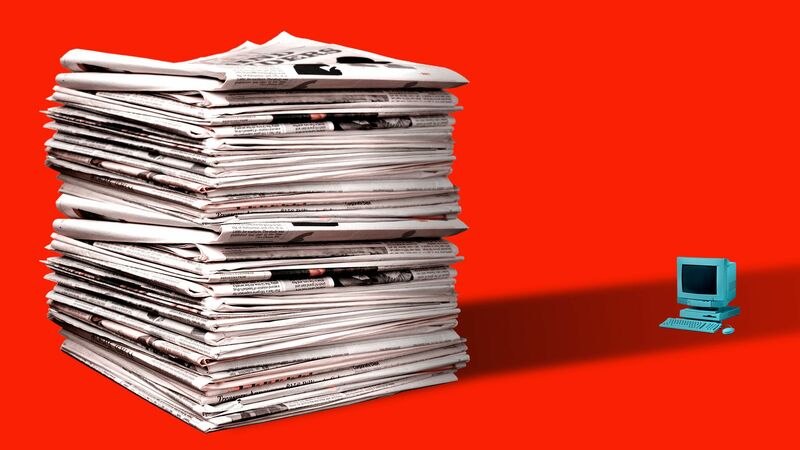 News outlets have for years struggled to gain leverage over tech companies for distributing their content, but in the past week, they've racked up some major wins. Why it matters: The wins provide hope that news companies will one day be able to leverage their original content and trusted relationships with users online to sustain themselves — even in an environment where they have to rely on technology partners for much of their distribution. Facebook might pay up: Facebook CEO Mark Zuckerberg said Monday the tech giant may actually begin paying news publishers to distribute their content via a new, dedicated tab for quality news on its site and app. Apple awareness: Publishers that were quick to join previous tech efforts to distribute news, like Facebook Instant Articles, are approaching Apple's latest news product, Apple News+, with more skepticism. Europe rewrites internet rules: The European Parliament signed off on a much-debated copyright law last Tuesday, which includes a provision that would require sites like Facebook and Google to pay a fee when they summarize news stories and link to them. Be smart: These efforts are small steps towards gaining true total market power. Even if Facebook makes a dedicated tab for news where publishers get paid, most of Facebook's eyeballs still flow through its News Feed, where established publishers aren't prioritized over posts from everyday people. The EU may have taken an aggressive stance on protecting news publishers' intellectual property, but no such efforts are close to being passed in the U.S.
And although activists say the new law will help the news industry, there's a chance that it could also hurt smaller news outlets. The law is contingent on distinguishing bad linking (platforms making money off links to news content) versus good linking (news outlets linking for attribution), which can be hard to determine.